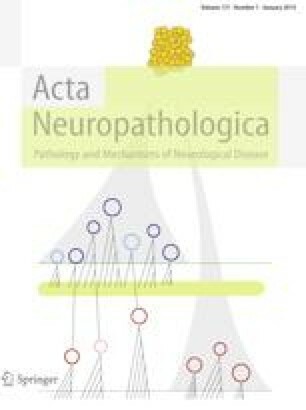 TAR DNA-binding protein 43 (TDP-43) aggregation is the most common pathological hallmark in frontotemporal dementia (FTD) and characterizes nearly all patients with motor neuron disease (MND). The earliest stages of TDP-43 pathobiology are not well-characterized, and whether neurodegeneration results from TDP-43 loss-of-function or aggregation remains unclear. In the behavioral variant of FTD (bvFTD), patients undergo selective dropout of von Economo neurons (VENs) and fork cells within the frontoinsular (FI) and anterior cingulate cortices. Here, we examined TDP-43 pathobiology within these vulnerable neurons in the FI across a clinical spectrum including 17 patients with sporadic bvFTD, MND, or both. In an exploratory analysis based on our initial observations, we further assessed ten patients with C9orf72-associated bvFTD/MND. VENs and fork cells showed early, disproportionate TDP-43 aggregation that correlated with anatomical and clinical severity, including loss of emotional empathy. The presence of a TDP-43 inclusion was associated with striking nuclear and somatodendritic atrophy. An intriguing minority of neurons lacked detectable nuclear TDP-43 despite the apparent absence of a cytoplasmic TDP-43 inclusion. These cells showed neuronal atrophy comparable to inclusion-bearing neurons, suggesting that the loss of nuclear TDP-43 function promotes neurodegeneration, even when TDP-43 aggregation is inconspicuous or absent. The online version of this article ( https://doi.org/10.1007/s00401-018-1942-8) contains supplementary material, which is available to authorized users. This study was supported by NIH grants R01AG033017 (WWS), P01AG019724 and P50AG023501 (BLM), and the John Douglas French Alzheimer’s Foundation (GC). LL was supported by the Reserve Talents of Universities Overseas Research Program of Heilongjiang in China (Document Number: Heijiaogao 381). We thank the patients and their families for their invaluable contributions to FTD/MND research. ALN, MS, JLH, SEG, LL, EJK, and YP performed the experiments and cell counting. MS performed morphometric analysis. ALN, LP, and IEA analyzed the data. WWS, LTG, and EJH performed neuropathological diagnoses. DHG and GHC performed genetic analysis. JHK, BLM, and WWS obtained behavioral and clinical data. WWS, SEG, and ALN conceived and designed the project. WWS, and ALN wrote the paper. All authors reviewed the manuscript.